Budgets continue to tighten in 2013, a trend that will likely continue indefinitely. In response, sales forces have shrunk and require optimization, training and development is becoming increasingly digitized, and healthcare educational resources require more effective and affordable delivery mechanisms. But building a mobile application from scratch that can handle hundreds, even thousands of sharable assets in multiple formats including pdf, slides, video, and ePub is time consuming and expensive. You can’t spend a year and most of your budget to launch a versatile content management system that you need this quarter. 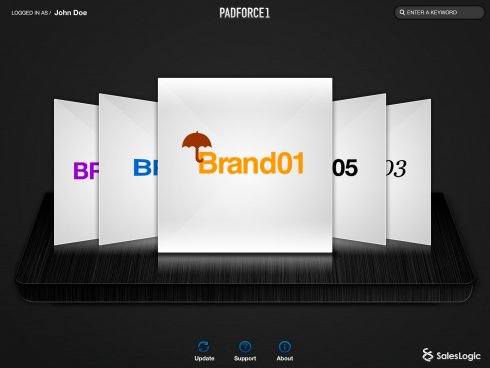 Enter Padforce1, an out-of-the-box iPad application designed to be quickly and affordably customized for all your enterprise-level content delivery, engagement, and sharing needs. 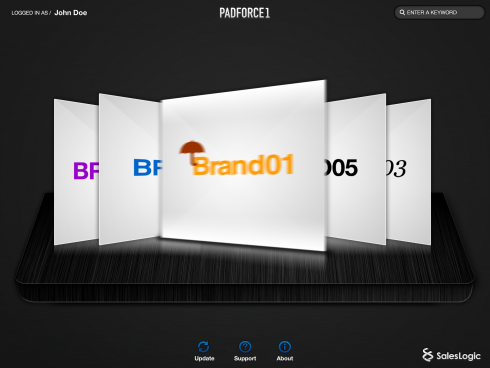 Padforce1 is the mobile app you’ve been looking for, ready to empower your teams and boost your efficiencies within weeks. In terms of functionality, assets in any desired format can be viewed at the point of care or point of sale, organized into specialized and most frequently viewed lists, and shared within seconds and directly from the application via email. 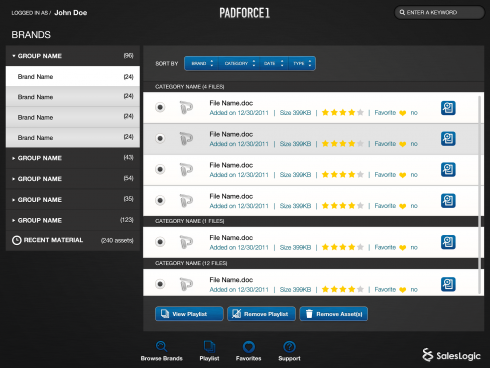 Additional features can be added and updated throughout the user base. The complete database of all assets is hosted externally, and initially downloaded to the user’s own iPad, enabling the seamless display of large video files, slide decks, and ebooks. The model also ensures that content is continuously updated, with global CMS changes effortlessly and automatically communicated to the entire user population, based on individual authorization. 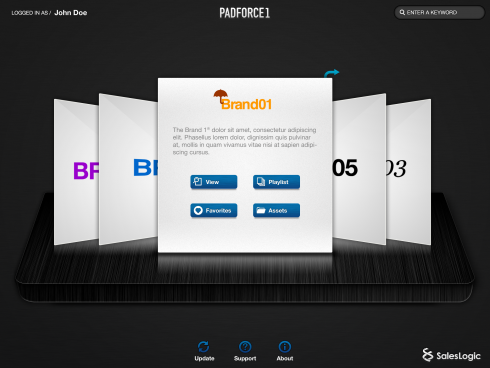 Built as a balance between essential CMS functionality and customizable features, Padforce1 is the essential foundation from which you can fine-tune and deliver your optimal sales force support or eLearning management tool. Add your own branding, and populate with your own assets, and you’re ready to roll.